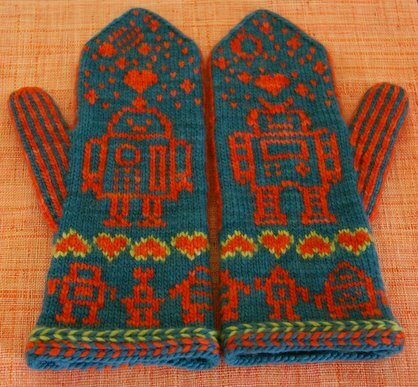 It doesn't get any cuter than robot love! 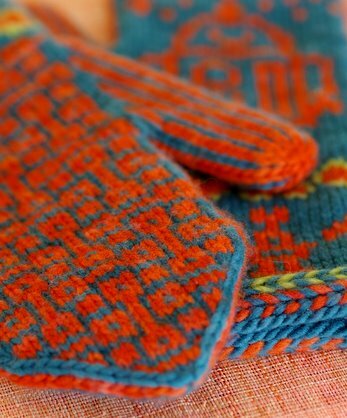 These mittens are knitting in worsted weight yarn at a small gauge to create a thick and warm fabric. Skills used in this pattern are two and three color stranded knitting, working a two color braid, basic increases and decreases, and knitting in the round. 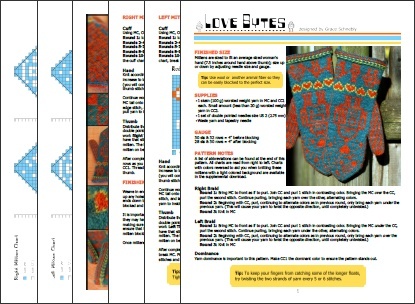 The pattern includes charts for both a light or dark main color, tips on stranded colorwork, and detailed step-by-step instructions. Recommended for intermediate to advanced knitters. Yarn requirements: 1 skein each (100 g) worsted weight yarn in main color and contrast color. Small amount (less than 20 g) of worsted weight yarn in second contrast color. We used Malabrigo Merino Worsted in Emerald, Glazed Carrot, and Lettuce (Example 1) and Dark Earth, Pink Frost, and Pale Khaki (Example 2). This pattern can be purchased for $6.00, and is available through our Ravelry shop. 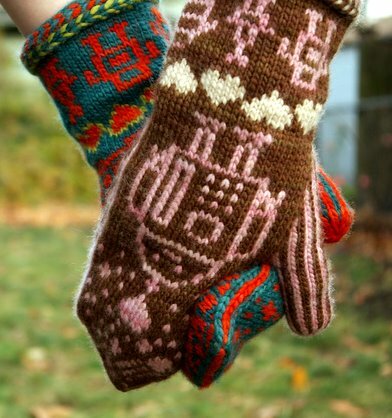 Once purchased through Ravelry, the pattern can be downloaded instantly.